After peaking in sales with MLB 10 SCEA’s The Show series has declined modestly every year since. Though it faces essentially no competition on the PS3 and the quality of the franchise in terms of reputation remains stellar, grumblings of a lack of advancement and questionable decisions like not offering demos have been heard and ultimately may have hurt. Perception could be altered with the PS4 offering next spring but the brand has taken a slight hit in the meantime even with MLB 13 being the pinnacle of the series to date. 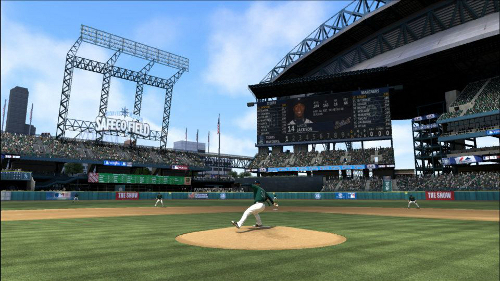 MLB 13: The Show finished in 7th place for March – that is down from 3rd for MLB 12. Though the positioning is relative based on the varied health of the competition each year the number of copies moved has fallen again. MLB 13 sold approximately 300K compared to 335K last year. Meanwhile both MLB 2K13 and Tiger Woods PGA Tour 14 failed to chart in the top ten. That is not unexpected, as the 2K series has plummeted ever since coming in 10th with the disastrous MLB 2K9, and Tiger releases late in the month so the NPD cycle only accounts for a few days to a week of data. Indications received are that MLB 2K13 sales are lower than last year – not all that surprising considering the lack of marketing and negativity surrounding the series. Last year Tiger didn’t chart in March but then ended up 4th for April. Considering how small the market is for baseball, even when combining The Show with 2K, it’s easy to see why EA Sports has hesitated to jump back in with the expiration of the third party license that 2K eventually renewed with MLB just for this year at much lower costs considering the league had no other option. The investment in development could be tough to justify particularly when The Show would still be around to compete against.